The B2B Travel Event Thessaloniki 2016 will be held on 28-29 March 2016 at Grand Palace Hotel, organized by Respond on Demand and under the auspices of Greek National Tourism Organization. 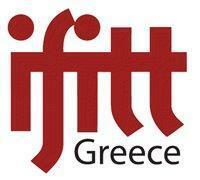 During two days more than 50 Greek tourism enterprises (hotels, travel agents etc.) participate to B2B meetings with tourism professionals from Europe. The hosted buyers travel, on their own expenses, to Thessaloniki for the two days meetings and then follow a post fam trip to the area of Epirus (Ioannina & Sivota), to get acquainted with the destination and include it to their future proposals. The event counts this year its 5th edition. Registrations are opened until March 15th. Find out more here.